Thu., 12 Dec. - Tue., 24 Dec.
Fri., 6 Sep. - Fri., 27 Sep.
Fri., 6 Sep. - Fri., 13 Sep. Tue., 10 Sep. - Sat., 28 Sep. Sun., 8 Sep. - Sun., 15 Sep. Tue., 24 Sep. - Tue., 1 Oct. Mon., 7 Oct. - Sat., 19 Oct. Tue., 1 Oct. - Fri., 11 Oct. Sun., 1 Sep. - Fri., 6 Sep. Located in Hillingdon, this eco-friendly hotel is 2.3 mi (3.7 km) from Stockley Park and 2.8 mi (4.5 km) from London Motor Museum. Twickenham Stadium and Brunel University are also within 6 mi (10 km). 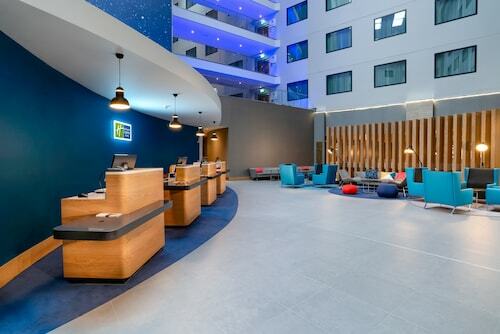 Located in Hillingdon, this hotel is within 9 mi (15 km) of Twickenham Stadium, Windsor Castle, and Hampton Court Palace. Richmond Park and Thorpe Park are also within 12 mi (20 km). 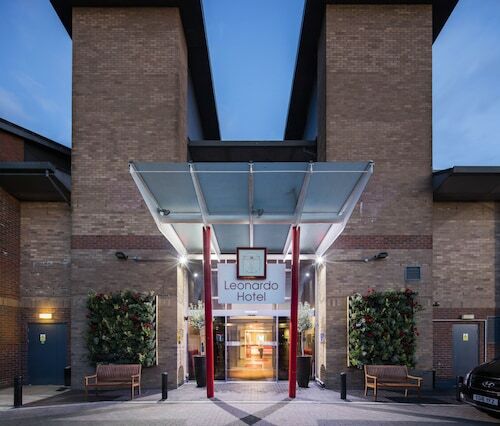 Located in Hillingdon, this hotel is 2.4 mi (3.9 km) from London Motor Museum and 2.6 mi (4.1 km) from Stockley Park. Twickenham Stadium and Brunel University are also within 6 mi (10 km). 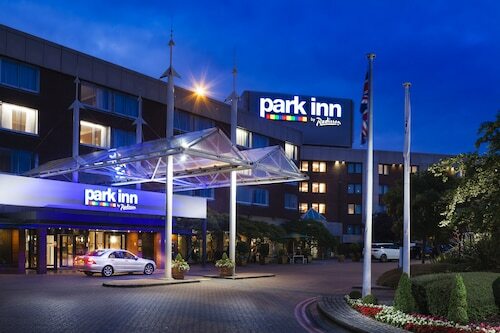 Located in Hillingdon, this hotel is within 6 mi (10 km) of London Motor Museum, Kempton Racecourse, and Stockley Park. Twickenham Stadium and Hampton Court Palace are also within 9 mi (15 km). Heathrow Terminal 4 Underground Station is 8 minutes by foot and Heathrow Terminal 4 Station is 7 minutes. 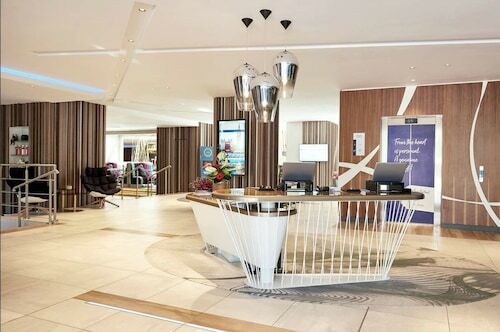 Located in Hillingdon, this hotel is 2.4 mi (3.8 km) from Stockley Park and within 6 mi (10 km) of Twickenham Stadium and Bushy Park. Hampton Court Palace and Brunel University are also within 9 mi (15 km). Answer : The day with the most departure times for this route is Saturday with four options. However, the most popular day across all routes departing from Canada is Thursday with 1,265. Question : What is the cheapest airline flying from Montreal to London? Answer : Icelandair is your best travel expert for finding that sought-after low fare. They're offering fares as low as $717, while prices for similar flights are as high as $17,455. Question : How long does it take to fly from Montreal to London? Answer : Flying from YUL to LHR usually takes about six hours and 31 minutes. Remember, there is a time change of five hours. Question : How long is the flight from YUL to LHR? Answer : British Airways can get you there in six hours and 25 minutes. So, if you were to leave Montreal at 9:05 PM EDT, you would get to London at 8:30 AM BST. Just enough time to catch up on your work before you land (remember, there is a five hours time change). Question : How many flights are there per day from Montreal to London? Answer : Depending on the day, the number of flight times will change, but on average there are four. You won't have as many choices on this route as most others departing Canada. Answer : You sure can and you may save yourself some money by changing it. The cheapest day to fly in April is Saturday. Answer : The cheapest day to fly from Montreal to London is on Saturday. So, if you want to save some cash on your next holiday look for flights on Saturday. The only thing that my seat wouldn’t recline back it was broken..
very quiet and smooth plane Boing 787! First time flying British Airways, i have to say they are very good! Brilliant ! The aircraft types from YUL-LHR was a Boeing 787 (Dreamliner). The in flight entertainment console (IFE) was located underneath the seat in front of each seat; it impeded and restricted my leg movements ( a very bad design).